Ananka's Diary: Have You Seen the Little People? 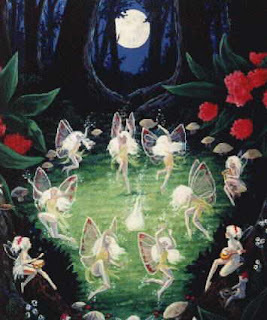 You might be surprised to learn how many people around the world believe in faeries, elves, and little people. (Particularly in Iceland.) I'm not sure I'd place myself in the believers' camp, but after watching this video, my mind is more open to the possibility than it once was. What do you think? i am commentless. i mean... well ...i dont know? that really touched me because when I was little, I believed in the tooth fairy 100% now I don't belive at all, but that story really brought the little 5 year old back in me. That was interesting! I love hearing stories like that, even if they are or aren't real! Very cool website! I just now finished reading Kiki Strike : Inside the Shadow City, so I had to check out the site! I admit to being a nonbeliever. It's probably just some hoax.